Just a week after Curiosity celebrated its first Martian year in Gale Crater and we have yet another milestone anniversary in Solar System exploration: as of 10:48 p.m. EDT tonight Cassini will have been in orbit around Saturn for a full decade! That’s ten years and over 2 billion miles of discoveries and explorations of our Solar System’s most majestic planet and its incredibly varied family of moons. Over the course of its primary mission and three extended missions, we have been able to get a close-up look at Saturn and its moons like never before, witnessing first-hand the changes that occur as their seasons change. What’s been discovered by the Cassini mission about Saturn has offered invaluable insight into the evolution of our entire Solar System, as well as planets that could be found elsewhere in our galaxy. Launched on October 15, 1997, the Cassini-Huygens spacecraft established orbit around Saturn on June 30, 2004 (July 1, UTC). “It’s incredibly difficult to sum up 10 extraordinary years of discovery in a short list, but it’s an interesting exercise to think about what the mission will be best remembered for many years in the future,” Spilker said. 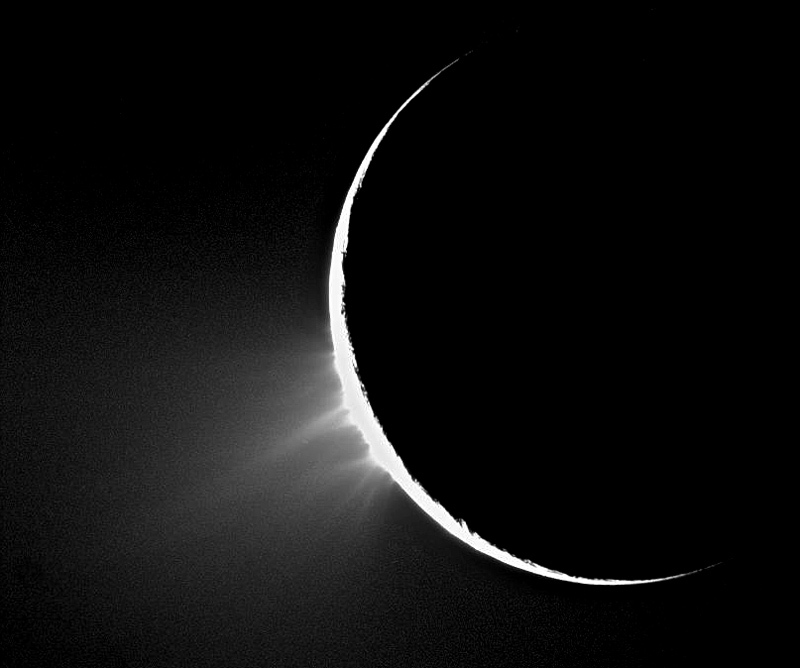 Of course, if you’re like me some of the most exciting parts of the Cassini mission have been the pictures! What amazing views of Saturn, its rings, and its moons we’ve gotten from Cassini… each one a glorious gem in its own right, and thanks to the talent and hard work of the Cassini imaging team at the Space Science Institute (SSI) in Boulder, Colo. the entire world has been able to go along for the ride… and very near literally, too. You can also see some of the Cassini team’s favorite images from Saturn here, and find out what’s coming up in the next few years as Cassini’s explorations continue! Previous Post Happy First Year on Mars, Curiosity! Next Post Europa Is Covered In Bacon. That Is Why We Must Go. 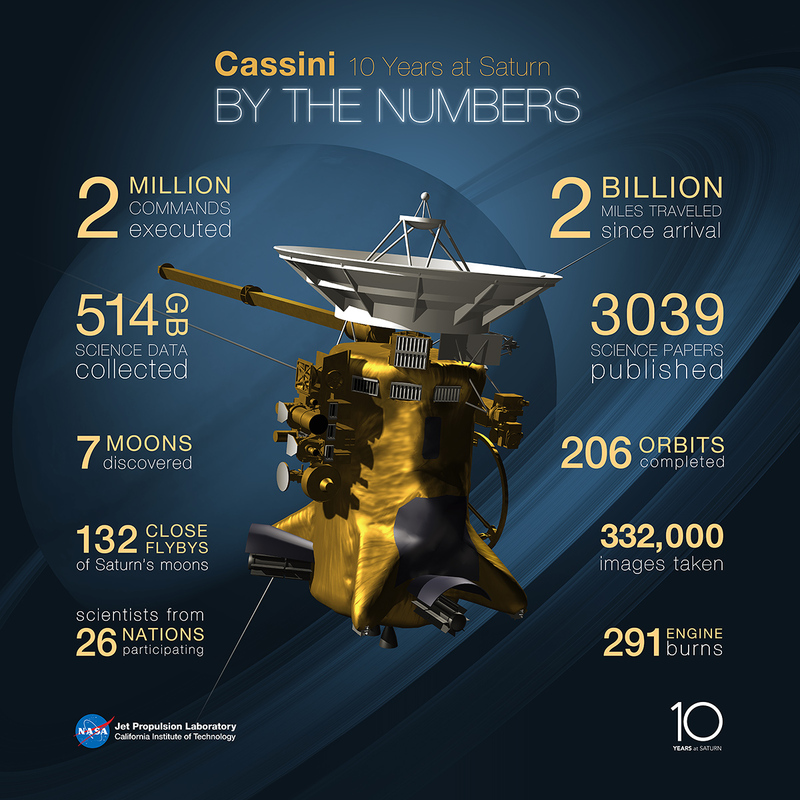 A very beautiful decade for Cassini. Still by hoping for discoveries before his its end in 2017 ! !